My research involves integrating neurobiology, development, evolution, and behavior to understand the proximate and ultimate causes behind sociality in birds. During my PhD at Cornell University, I studied the role the nonapeptides (oxytocin, vasopressin, and their non-mammalian homologues) play in regulating parental care and maintaining pair bonds in zebra finches. I also determined that corticosterone plays no role in regulating helping behavior in cooperatively breeding Mexican jays. 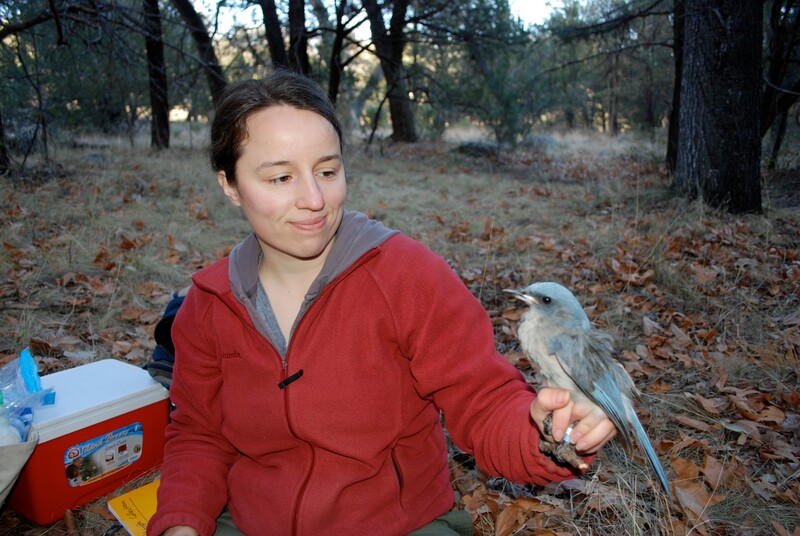 I have also studied how sociality influences numerical cognition in Mexican jays and Woodhouse’s scrub jays. In the Couzin lab, I am collaborating with the imaging barn group to studying how hormones regulate individual and group flocking decisions in quail. These experiments will employ the state of the art 3D acoustic tracking system developed by the lab to track every individual quail’s movements and vocal communication in a semi-natural environment.